Drumroll, please. The unthinkable happened. My spirit animal, my sister-in-my-head, my all-time muse, Rihanna, and I are now officially connected. We're legitimately associated, peeps. You might ask why. Well, because her very own makeup artist, Priscilla Ono, who happens to be the global artist for Fenty Beauty, did my makeup. She did my makeup—just in case you didn't read it right the first time. She's the artist behind RiRi's most iconic looks. All the ones you have screenshot and saved in your phone are done by her. 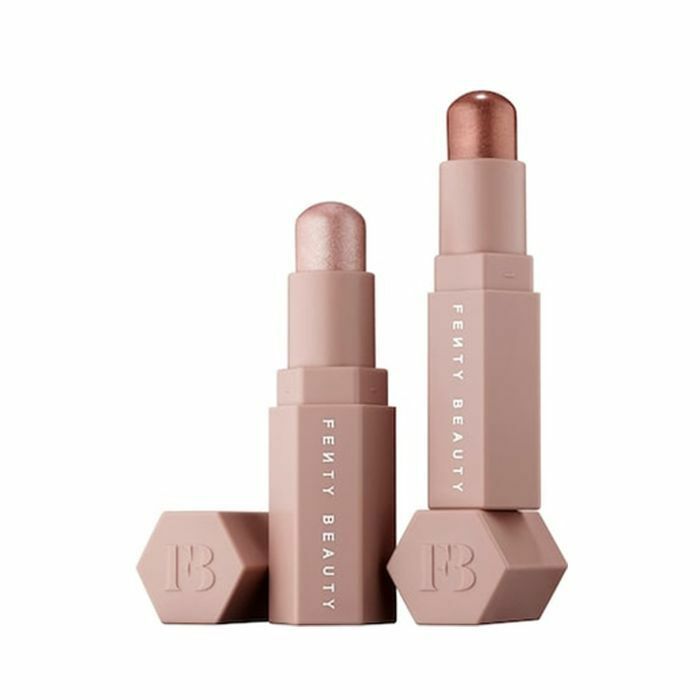 Remember that glimmering Trophy Wife highlighter at the official Fenty Beauty launch that was practically blinding? Ono did that. Or that monochromatic fuchsia moment Rihanna wore on her eyes, cheeks, and lips at the Met Gala? Ono did that. And this gorgeous holiday glam pictured above? Ono did that. 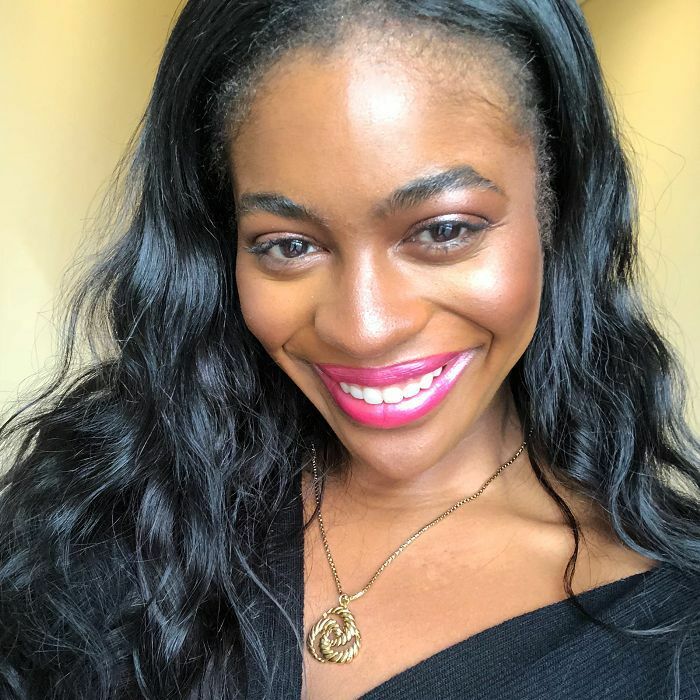 She stopped by the Byrdie offices, and I got my face done up in full Fenty Beauty. This is how it all went down. 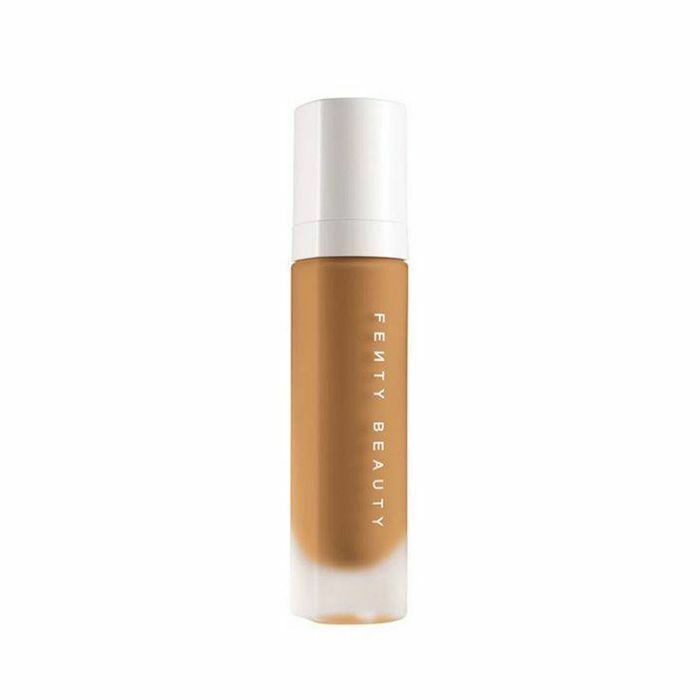 After prepping my skin with moisturizer, Ono buffed this foundation in shade 400 into my skin to perfect my complexion. Like always, it covered all of my dark spots and imperfections like magic. Base makeup isn't complete without a chiseled jawline. Ono used the middle shade, Espresso, to glide it across my cheekbones and even carved out my eyelid area to add a bit of depth and dimension. Next, she got to the glam. She used this creamy Match Stix shade in Cognac from the holiday collection, which is limited-edition, so get it now. It's a rusty amber, and she dabbed it all over my eyelid. She took a medium-size fluffy brush to blend it but also recommends using your hands since the formula is so velvety. 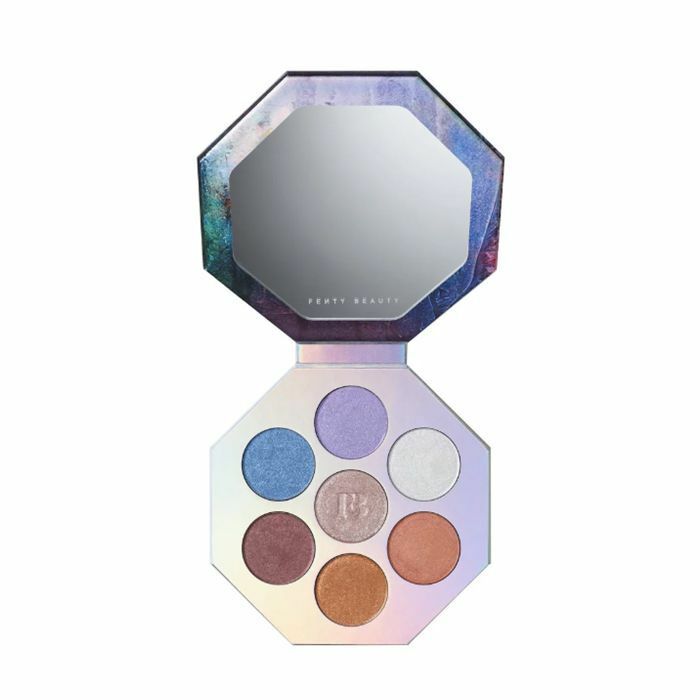 Then, she pulled out the Killawatt Foil holiday palette using the middle metallic shade, Stone Cold. With a small flat brush, she patted this on the center of my eyelids to make them pop. 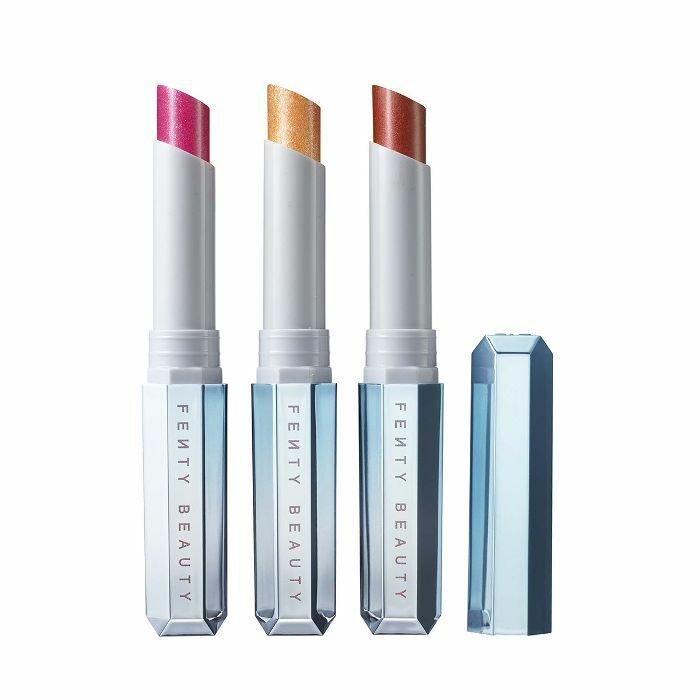 The best thing about Fenty Beauty palettes is that you can repurpose them. She used the deep taupe shade on the right from the same palette to highlight my cheekbones. Taking a shark-tooth, cheek-hugging brush she swept this from the apples of my cheeks and up. Blending it upward created a gorgeous bronzy glow. The finale was this bright fuchsia shade called Cuffing Season. 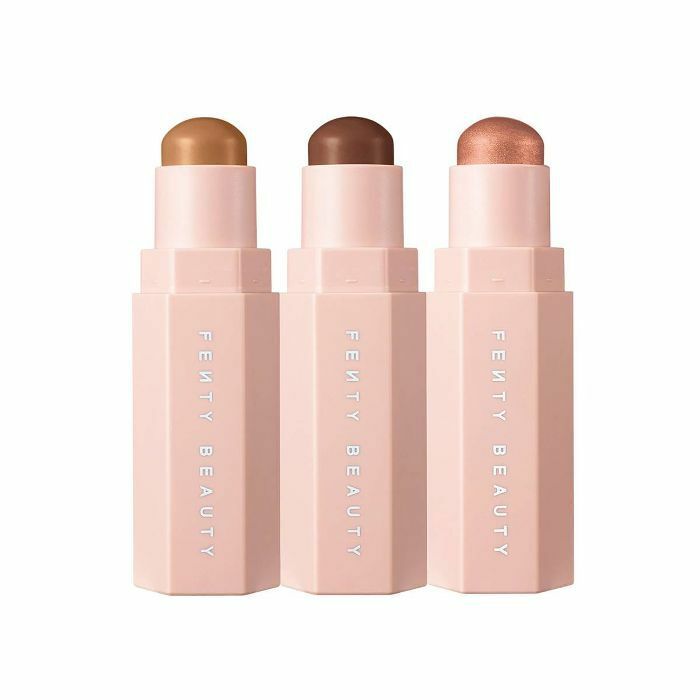 (I can't get enough of the Fenty Beauty names.) She kept my skin in soft pinks and neutrals to add this bold pink that has specks of glitter. The final look. Am I Rihanna yet? Next: Here are eight beauty secrets we learned from Rihanna's makeup tutorial.